Note: Ted Wright was in Australia during these three ball games and has gathered this brief summary from other sources. Collinsville beat Skiatook 24-10 in the final regular season football game. 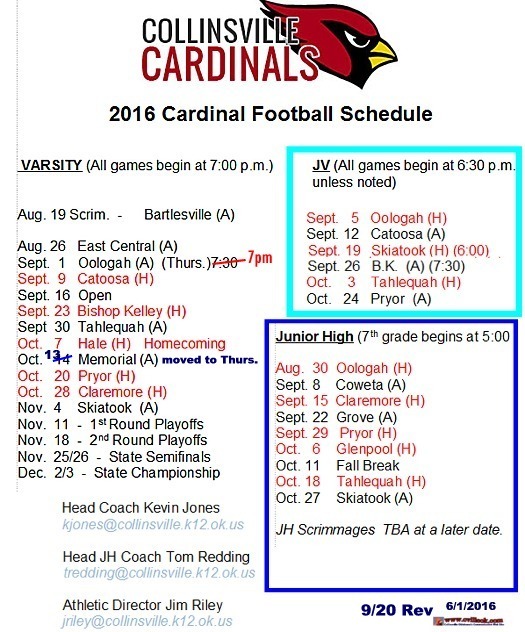 Cardinal Football · Nov 4 -- It is now official, Collinsville will take on Coweta at home next friday night in the 1st round of the 5A State Football Playoffs!